The Ticwatch 2 is sleeker and simpler than the floundering Apple Watch, with a classic designer look and four-way directional controls. Can it do anything to bump the incumbent and resurrect the disappointing smartwatch market? In theory, it shouldn’t be that hard for someone to design a better smartwatch than the Apple Watch. I’ve had mine for about a year and I still can’t figure out why I bought it. It does notifications well, and that’s about it. Perhaps the underwhelming value of the Apple Watch is why so many people are excited about the Mobvoi Ticwatch 2, which has already raised over $800,000 on a $50,000 goal—they still have more than 2 weeks remaining in their campaign. Yes, the Apple Watch did claim the top smartwatch spot in 2015, but recently falling sales numbers show that, like me, the market is probably ready for an alternative. There’s nothing particularly revolutionary about the Ticwatch 2. It does the same things as most other smartwatches: receiving phone calls and text messages, calendar reminders, voice searches, alarms, etc. Users can also install Android Wear apps, as well as apps from the Ticwear App Store. But there’s also the fact that it looks more like a designer watch than a tech gizmo. A watch should look like a watch. We forged Ticwatch 2 in collaboration with world class designers, including award-winning Scandinavian designer, Mika Nenonen. Our relentless dedication toward the perfection of every detail has allowed us to successfully combine both functionality and fashion. Our design reflects the principles that we persist: simplicity, quality, and craftsmanship. Compare this to most smartwatches which, frankly, look like Casio calculator watches from the 80’s. The Ticwatch OS also appears to be more intuitive than most smartwatches, relying on a limited set of swipes and gestures. Using a “cubic user interface”, users swipe in one of four directions to access various watch functions. When compared to the floating cloud of apps on the Apple Watch, this is in some ways simpler and more intuitive. Users can scroll by simply sliding their finger along the side of the watch instead of having to turn a dial. A simple series of gestures allows wearers to make phone calls or activate voice interaction mode. With voice interaction mode, wearers can search for restaurants on Yelp, send messages, call for an Uber and more. Wearers can quickly put the watch in stealth mode simply by putting their palm over the watch face. Part of the Ticwatch 2’s Kickstarter success is that Mobvoi has had the time to thoroughly develop and hone their smartwatch. The original Ticwatch was sold through traditional e-commerce channels in China. The Ticwatch 2 also went through various iterations before debuting on Kickstarter. Still, early reviews have been mixed. There are two potential snags that Mobvoi will need to overcome in order to join the tepid smartwatch market. First, Mobvoi specializes in software, not logistics. Shipping international orders in a timely fashion will require them to quickly build out smooth, efficient delivery operations. Another consideration is that the watches contain lithium batteries, which tend to be more heavily regulated. Second, Mobvoi will need to convince developers to create apps for their store. The original Ticwatch has a robust number of apps in China, but the usefulness of the Ticwatch 2 will be contingent upon developing the same type of support within the North American market. Those challenges aside, the Ticwatch 2 shows significant promise—for a smartwatch. The first batch plans to ship in October, 2016. While most of the early bird rewards are gone, backers can still get in on some of the mid-level perks. I wouldn’t say that it will take down Apple or even Samsung, because there are plenty of “fan boys”, but it is a nice alternative. I do like how simple it is. 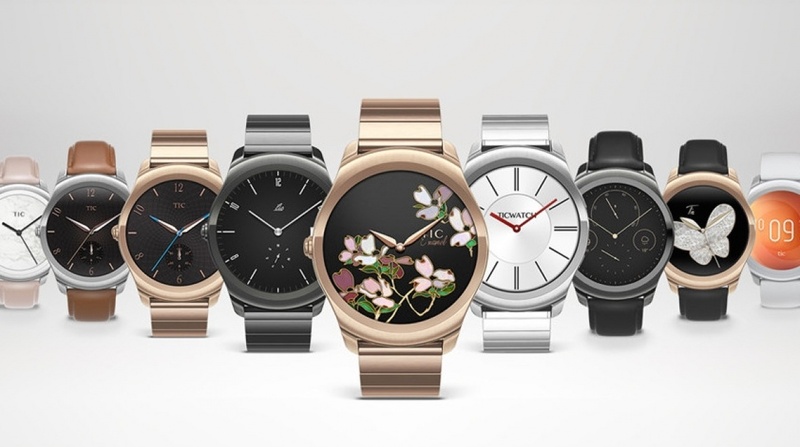 From what I have seen on some of the other smartwatches out there, so many features go unused. The question really is about how long the company can RETAIN consumers. Getting something SIMPLE on the market that is a hit seems easy these days, but then what? Manufacture and ship from the US, first problem solved. And have developers build apps that tie into IFTTT.com and you won’t need so many. I like simple and integrating with IFTTT.com is a very simple way to expand on technology. Keeping a product simple is a great way to get it out on the market. Once the brand is established, it only makes sense to bring on more advanced models.